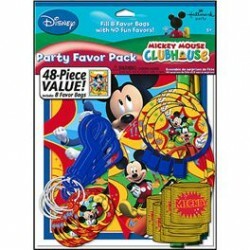 Mickey Mouse and Friends Party SuppliesThere are 32 products. 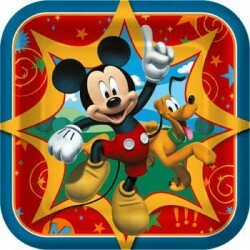 Here comes Mickey and Pluto, ready to celebrate with you. 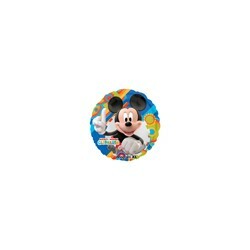 The Mickey Cake Plates are 7.5" square and the perfect size for snacks or dessert. 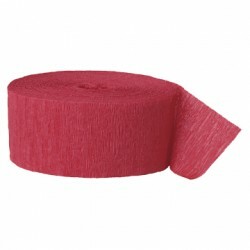 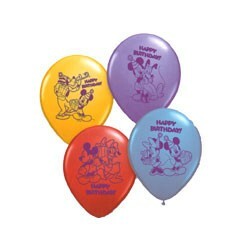 They're bright and colorful and go great with any Disney or Mickey Mouse theme. 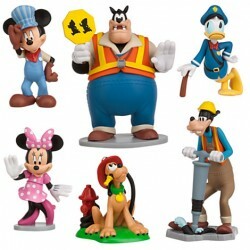 There are 8 plates in each package. 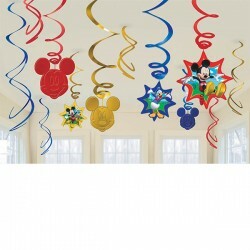 12 Swirls/Pkg - Swirly decorations are great for hanging from ceiling. 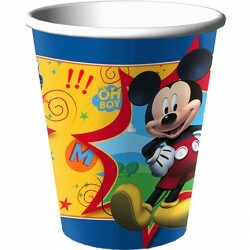 Each package includes: 6 foil swirl decorations, 3 foil swirl decorations with 7 inch cutouts, 3 foil swirl decorations with 5 inch decorations. 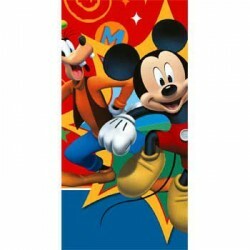 Table cloth for a Mickey Mouse themed party. 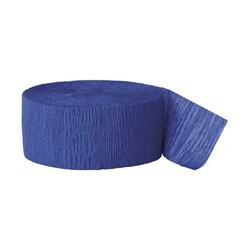 The tablecover is 54 x 102 inches (137 x 259)cm The table cloth is made from plastic. 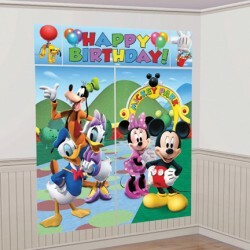 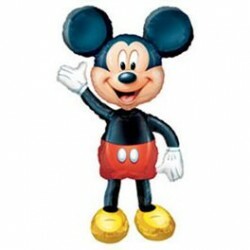 EACH CASE CONTAINS: 1 - 52IN MICKEY MOUSE AIRWALKER MYLAR - 52 INCH 2-SIDED AIRWALKER BOUNCER MYLARBALLOONS.